Mother’s Day is the day that you get to shower your Mother how much you appreciate everything she does for you, as a House Cleaner, Taxi Driver, Wife, Spouse and Mother, throughout the year. Show how much you love your Mom or the Mother of your Children this Mother’s Day by showering her with hugs, kisses and adorable Mother’s Day Gifts, sure to leave her smiling! 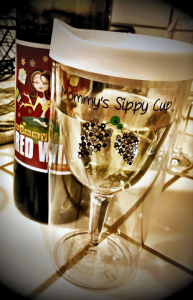 The Mommys Sippy Cup is the perfect gift to give the Wine Loving Mommy this Mother’s Day. This Traveling Adult Sippy Cup with grapes, made out of pacifiers and rattles, is perfect for Mommy to take her juice with her while On-The-Go or to sit back and relax at home with her favorite wine after a long day of being a Mom. The Mommy’s Sippy Cup is Only 14.99 and it is BPA Free! A Win-Win for your wallet and your health. The Pandora Bracelet is a gorgeous, build it yourself bracelet that is the perfect gift for your Mom this Mother’s Day. With each Pandora Bracelet, you get to hand pick the different charms that you get to place on the silver bracelet. Does your Mom like butterflies? They have a Butterfly Charm! Does she love gardening? They have a Gardening Charm! You also get to pick from glass, silver or enamel beads. Personalize a bracelet for your Mom this Mother’s Day and get her the unique, one of a kind gift that she deserves. Moms are always super busy, between taking care of the kids, the house, making food for the family and working, on top of it all! Get her the gift of relaxation with a Spa Gift Certificate this Mother’s Day. Dad, grab the kids and drop Mom off at the Spa, leaving her to relax, recharge and be pampered all day, without having to worry about the house, the kids or anything else for a day. Every morning, Moms wake up at the crack of dawn to make their children and family the breakfast they need to start their morning off right! Why not give Mom a break and make her breakfast? Why not kick it up a notch and serve in breakfast in bed!? Get up early, without trying to make your Mom, and make her the breakfast that she loves for Mother’s Day. Include a card and a small bouquet of flowers on the breakfast tray to complete the Mother’s Day Breakfast Spread! Every Mom has a journey towards becoming a Mother and what better way to celebrate Mother’s Day than getting her a book to celebrate Motherhood and being a Mom. Mom at Last: How I Never Gave Up on Becoming a Mother was written by Sharon Simons, the founder of Mom at Last, to inspire other Mothers around the world with her inspirational and tenacious story of never giving up on your dream of finally becoming a Mom, at Last! 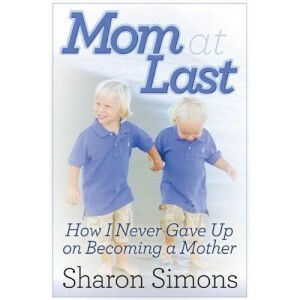 Mom at Last: How I Never Gave Up on Becoming a Mom is available in book stores and for your Kindle Fire Device. Show your Mom how much you love her by grabbing one of these amazing Mother’s Day Gifts! Hugs, Kisses and Love is the best gift a Mother could receive from her little ones and spouse, but these Top 5 Mother’s Day Gifts are the icing on the cake for your Mother’s Day this year!